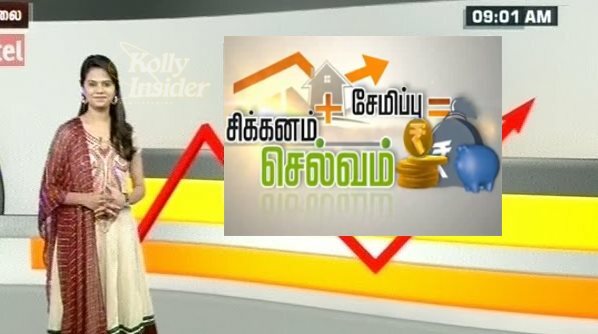 Sikkanam + Seymippu = Selvam is a Program unique in many ways in Tamil Media – be it Electronic & others. The news and analysis of Finance, Industry & Economics in our media, have long been presenting more jargons & statistics and were in such a way - not easily understandable. Again, all these news items were only on – Stock Market, Bullion or Currency. But Sikkanam... Semippu... Selvam Program, Nick named SSS, walked away from all the earlier set boundaries. It has stepped into Guiding the people - to manage their own Finances. It provides them Practical ideas & examples where they can save their money by cutting down on expenses... either by taking new routes to reach the goals or switching to alternate techniques etc., Apart from providing the public, tips for saving, this program also shows them many new avenues where the saved money can be invested for better returns, than the commonly known traditional methods. This Program brings the home makers the current prices of many of the daily requirements like Fruits, Vegtables, Groceries, Non Veg Food items etc., Right now this program plans to venture into new areas which will be unique &will be an eye opener for the people to realize their long term Dreams of Comfortable living. Sikkanam... Seymippu...Selvam Program is on air on all week days from 9AM to 9.30 AM.